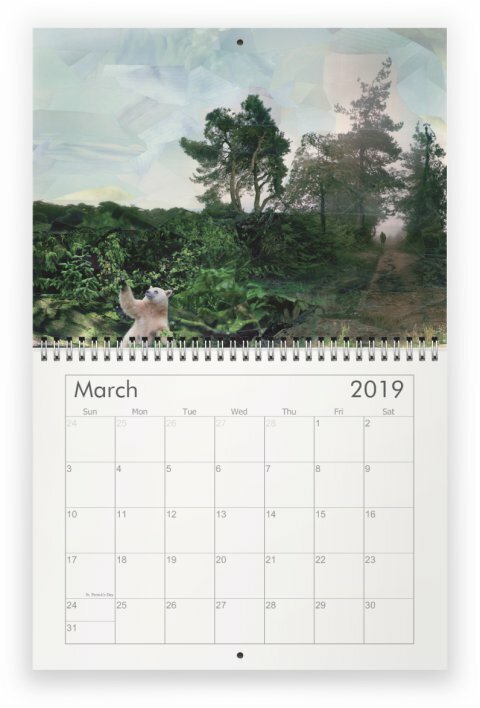 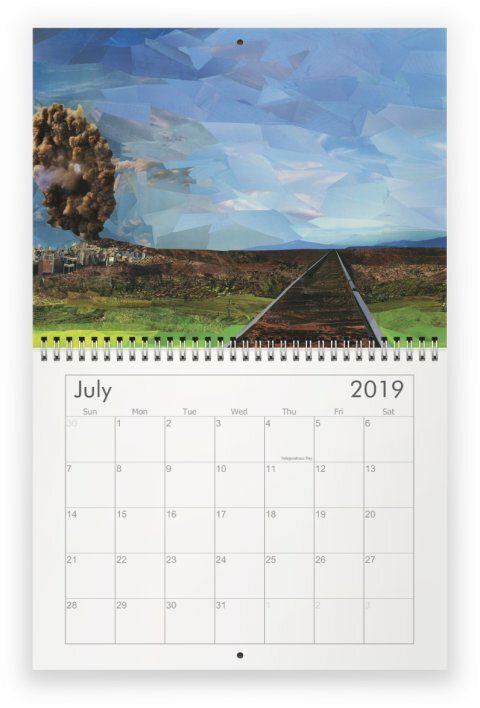 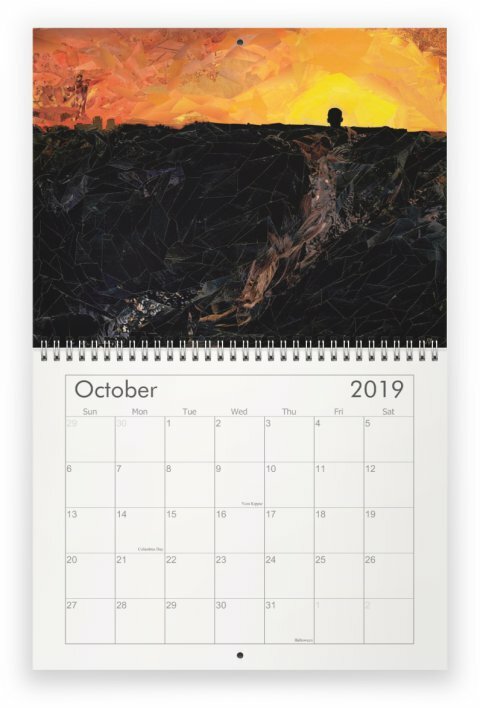 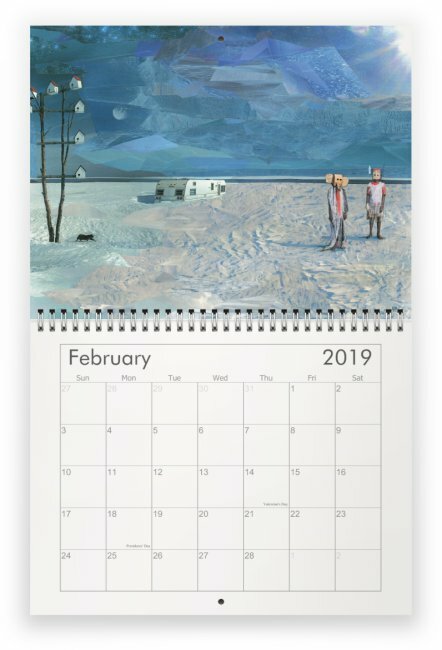 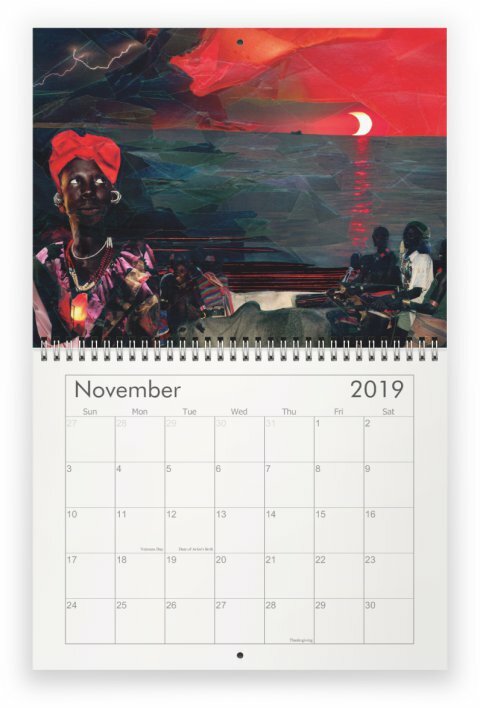 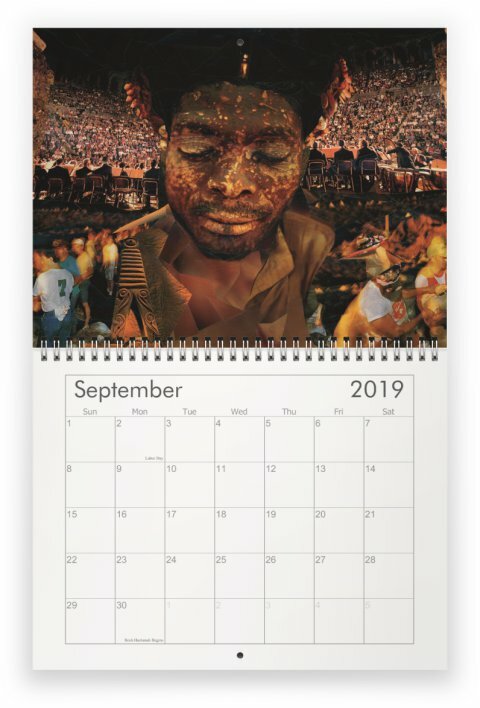 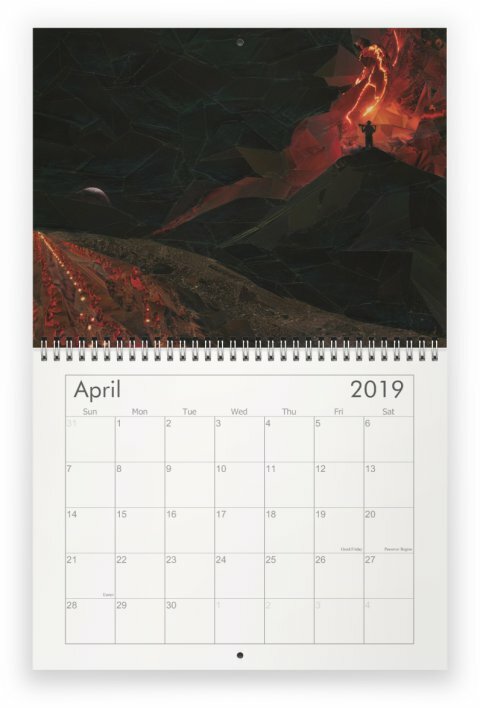 2019 Calendar, the first-ever calendar exclusively featuring Rachel Dolezal’s artwork. 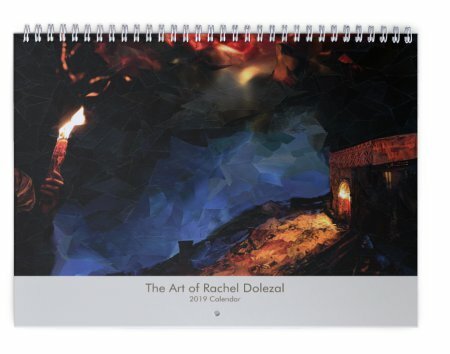 Each calendar is hand-signed by Rachel. 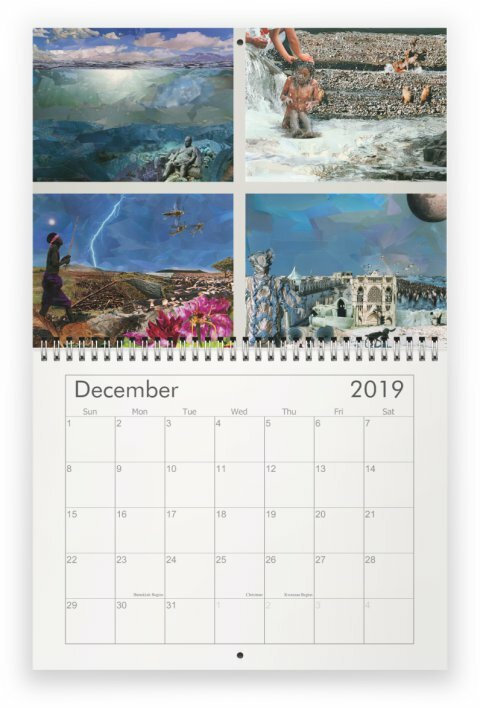 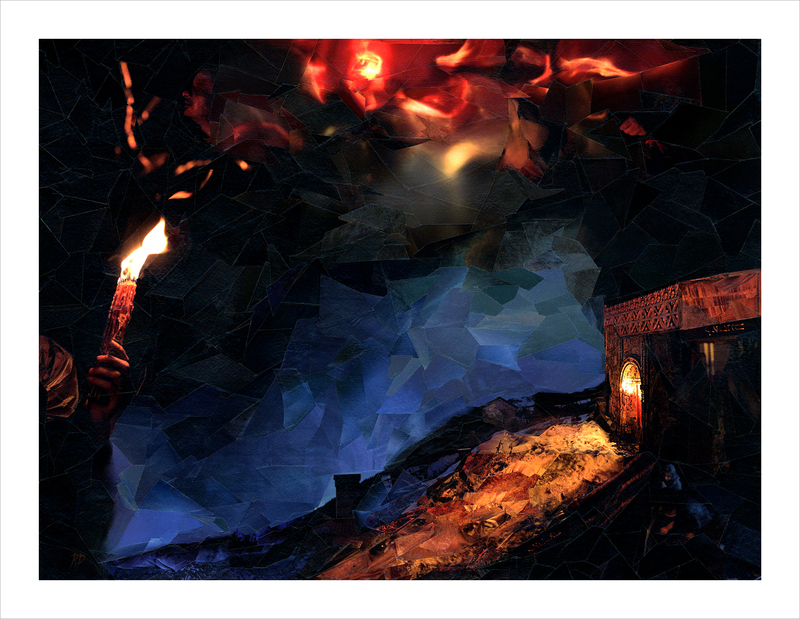 The 2019 Calendar showcases Rachel’s unique technique of upcycling tiny pieces of paper to create masterful color transitions and emotive images. 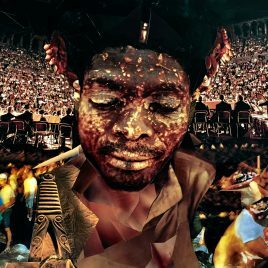 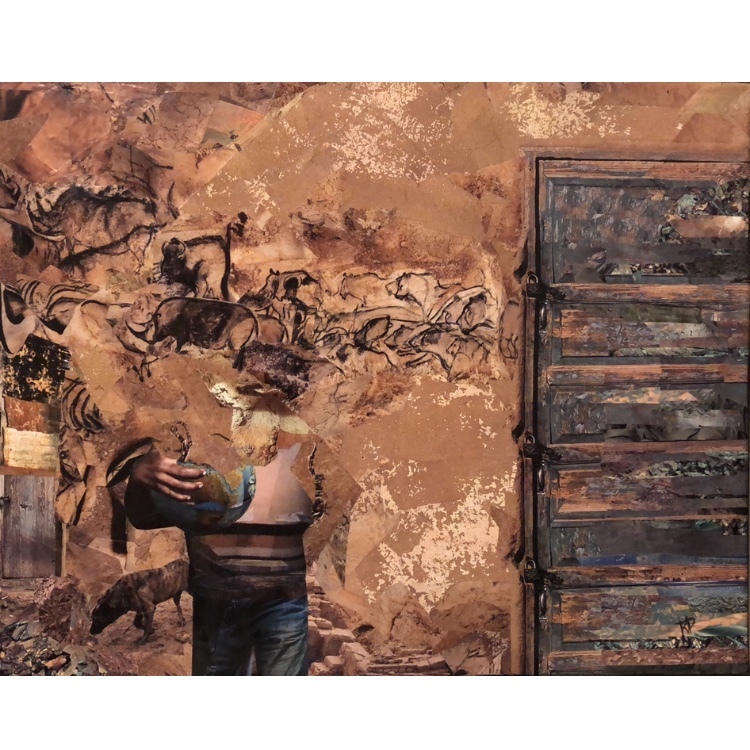 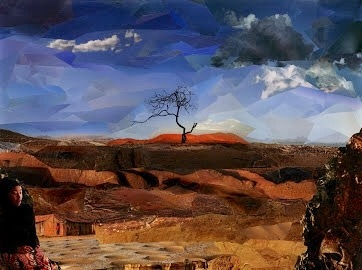 Dolezal has exhibited her work in 13 states and at the United Nations’ Headquarters and has won several awards, such as the Michelangelo Award, for her art. 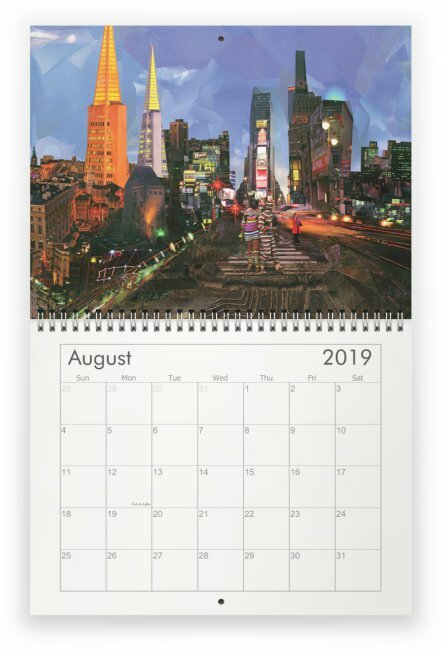 Calendar images are printed on high-quality glossy card stock, with a matte finish on the reverse side, for ease in writing on the calendar. 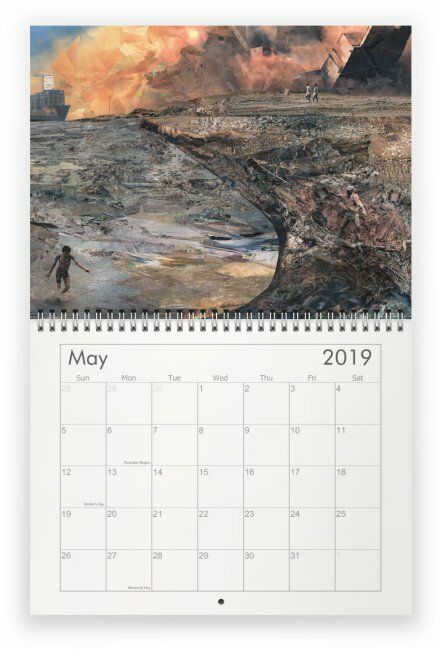 The images fill the entire classic-sized 8.5 x 11″ space, making them an easy size to individually frame at 8×10″ and display or pass on as gifts when you’re done with the calendar. 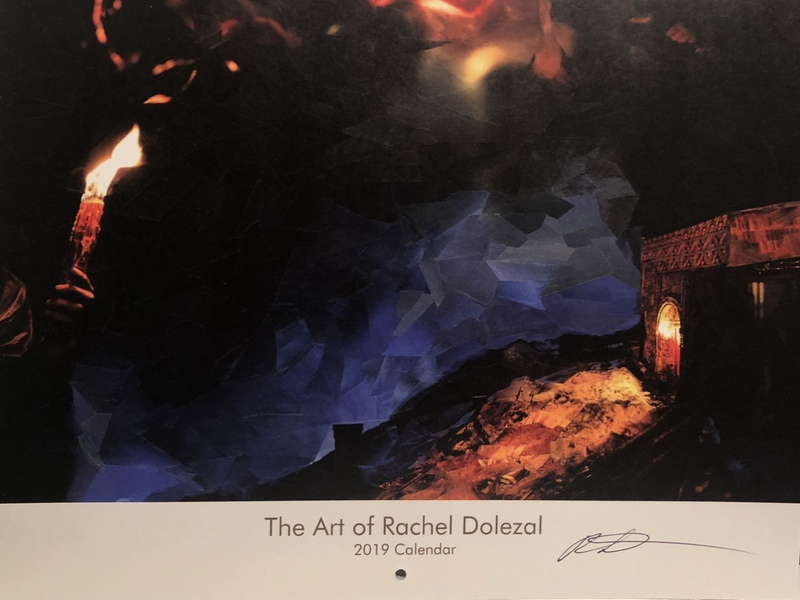 Front of each calendar is hand-signed by Rachel. 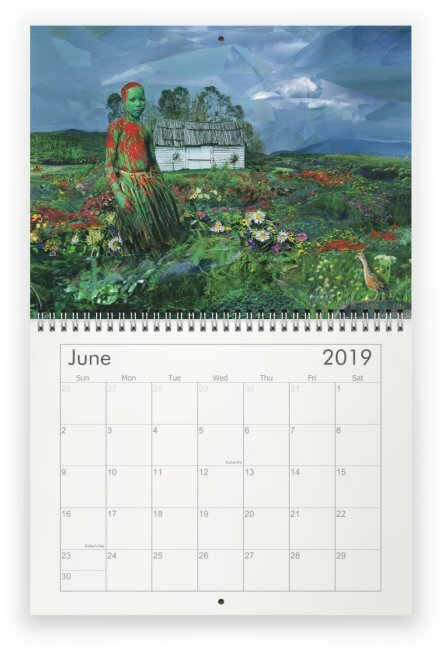 When Rachel was a child, from ages 6-13, every year she drew out the next year’s calendar dates and designed a drawing or painting for each month to give her grandmothers as Christmas gifts. 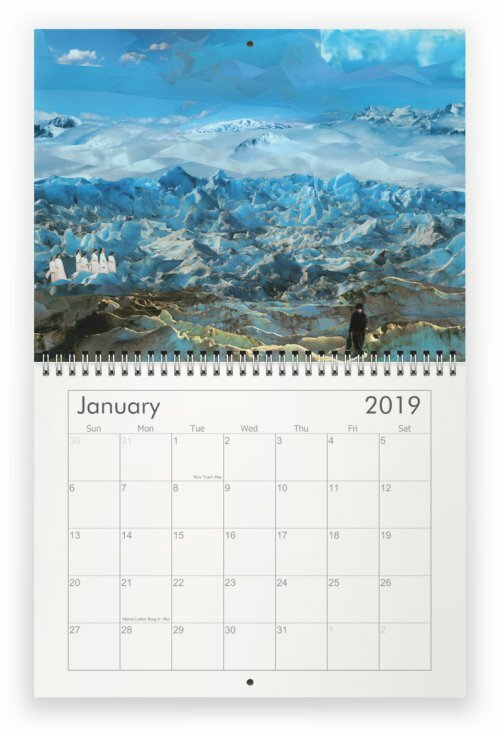 This calendar revives that childhood tradition, making her artwork available to everyone during the New Year.